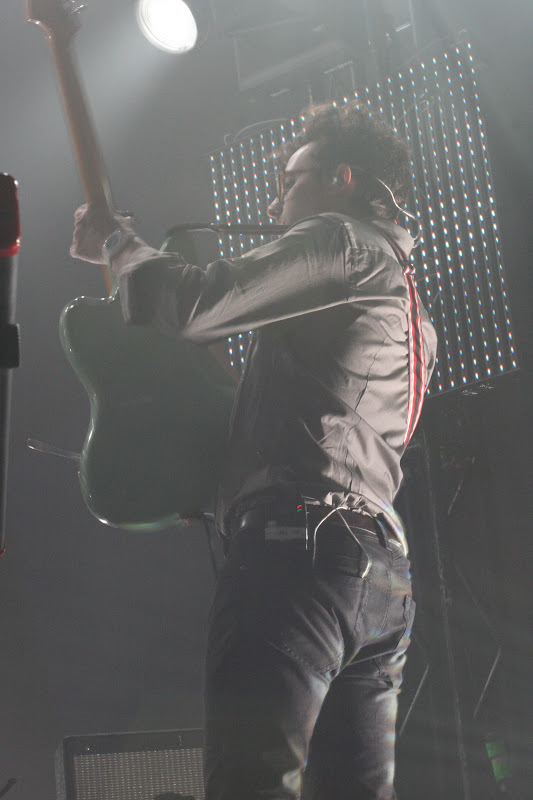 On Friday Night, The Joy Formidable, Passion Pit and the Rural Alberta Advantage came to New York’s Terminal 5 and Discosalt friend Backseatsandbar was there to fill you in on what you missed. 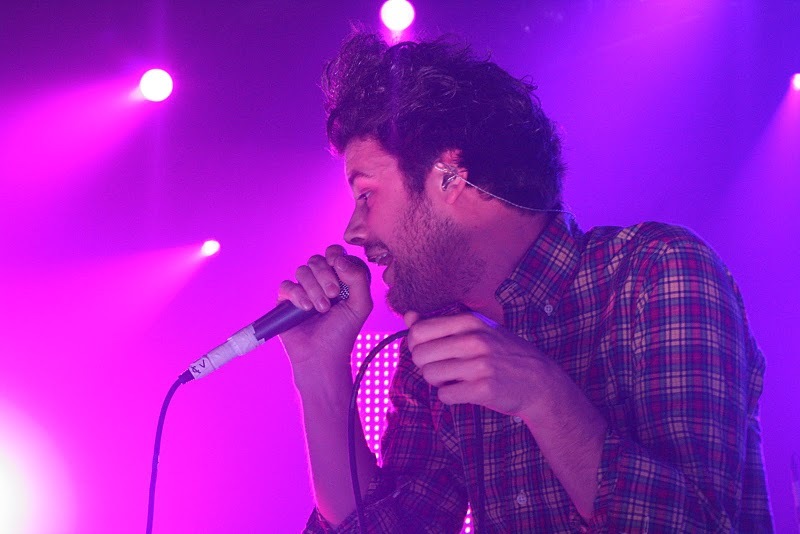 The show was the first of several for each of the bands, with Passion Pit playing three consecutive sold out shows at Terminal 5. Selling out three nights at one of the larger capacity venues, it’s only a matter of time before Passion Pit is playing the stadiums of New York. Similarly, The Joy Formidable started their first of four shows in New York, performing again with Passion Pit the following night and headlining Union Hall tonight and Pianos tomorrow. 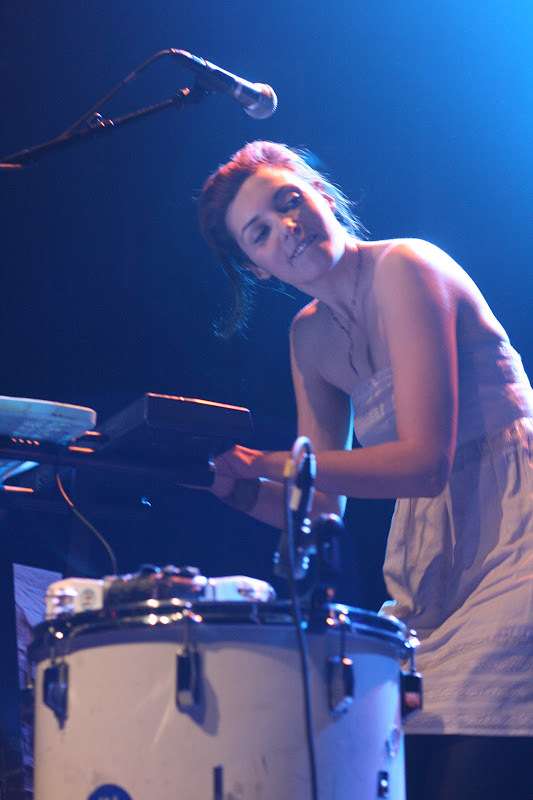 The Rural Alberta Advantage performed their next two shows with an early and late set at Mercury Lounge. The night started with The Joy Formidable, who got started a little earlier than was announced. Positioned by the stage by 8:45 they were already more than three songs in, meaning that I unfortunately missed their opening track, The Greatest Light is the Greatest Shade. You might remember that track from when I listed it as among the Greatest opening tracks of all time. I have been shocked by the fact that the Joy Formidable have stayed off the radar of the blogs for so long as they’ve got everything the kids want…incredible songs, danceworthy synth beats and a cute lead singer. It seems many of those in attendance were shocked as well, with their heads and feet unable to stop moving and later I noticed, buying their debut album, “A Balloon Called Moaning”. I knew the band was Welsh and I knew their music, but little else. 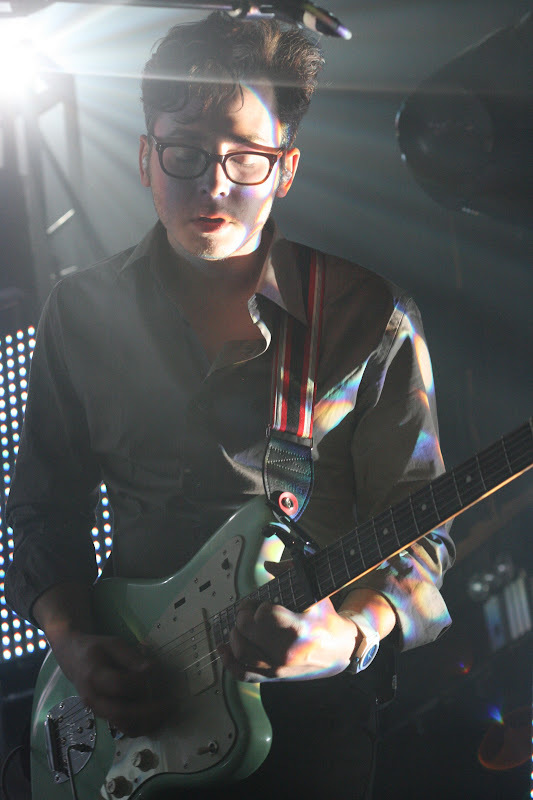 As it turns out, tonight’s show was first show of 2010, their first show in New York, and what’s more, their first US appearance. It’s rare for an opening band to really move a crowd, but the response from those in attendance couldn’t be denied…2010 is going to be a big year for Joy Formidable. Check out a great interview our friends over at We Listen For You did with lead vocalist, Ritzy Bryan. Up next was the Rural Alberta Advantage. 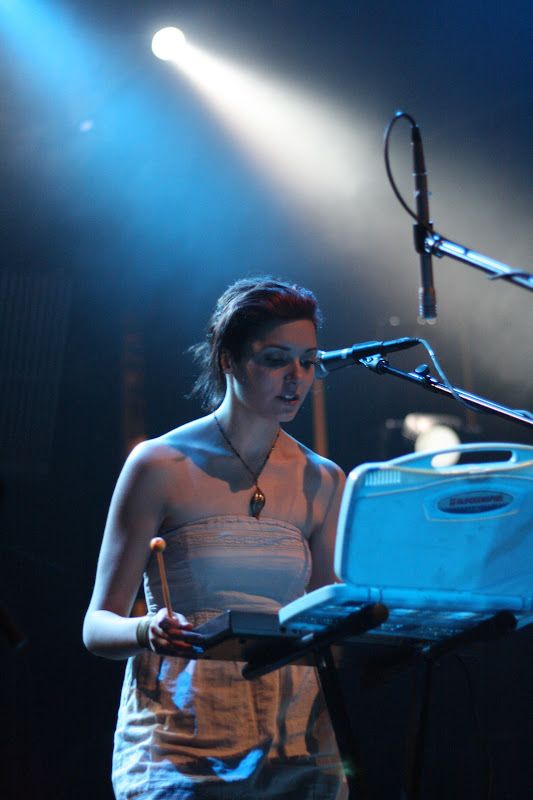 While a strong set, their sound didn’t seem to mesh with the Passion Pit sound as well and as a result the energetic environment created by the Joy Formidable seemed to descend into a lot of chatter by the time Passion Pit took the stage. Nevertheless, it has given me reason to pause and take another look at RAA. Then Passion Pit took the stage. Having met all of these guys through a mutual friend when I saw them back in June, their rockstar status is particularly interesting. During that show, they sat with us in the bar drinking until only a few minutes before they went on, expressing their own awe of their successes. Nevertheless, on that evening they took to the stage and destroyed the crowd. Yet by comparison, Friday night’s show was of a band of true rockstars. Michael delegated more of the keys to his bandmates and maintained the presence of a truly great frontman, dominating the stage in a way that I’ve seen very few performers (Trent Reznor maybe?) handle as well. With LED screens lighting the performance from behind, a sea of bodies crashing into one another in front and the energy of the band on stage, it was an ultimate sensory overload which peaked for the first time with Little Secrets when the crowd went from dancing to thrashing and again with Sleepyhead where they slayed the crowd for the final time that night. The greatest surprise of the night though was their cover of the Cranberries’ “Dreams” which worked perfectly with the Passion Pit sound (Michael was able to hit all the shockingly difficult notes) and had the whole crowd ballading along with the band. all photos courtesy of Backseatsandbar. Thanks Cory!